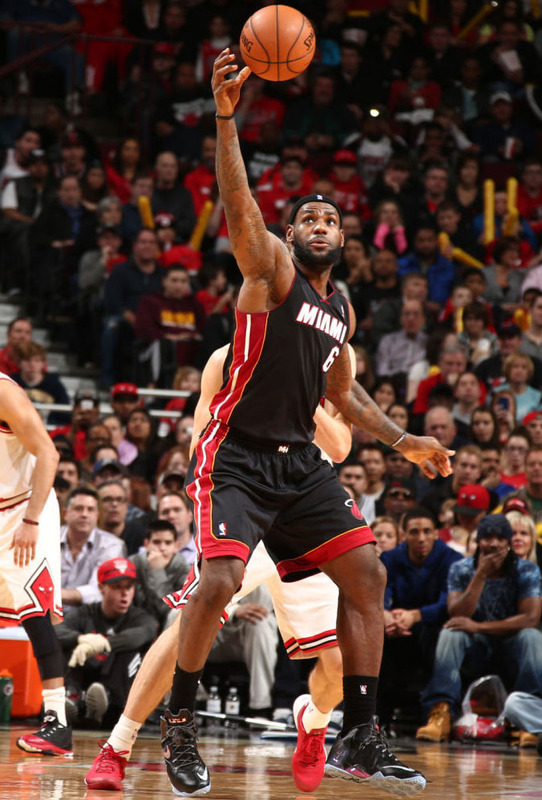 In today's nationally televised game against the Chicago Bulls, LeBron James debuted the Nike LeBron 11 Elite. After struggling to find comfort in the LeBron 11 all season, LeBron transitioned into his signature shoe designated for the home stretch. The LeBron 11 Elite appears to be a sleeker version of its predecessor, reducing the use of Hyperposite and adding a glossy heel counter. LeBron wore a Black/Silver colorway that may be exclusive to him. The good news is that LeBron didn't make a halftime switch to the Soldier VII. 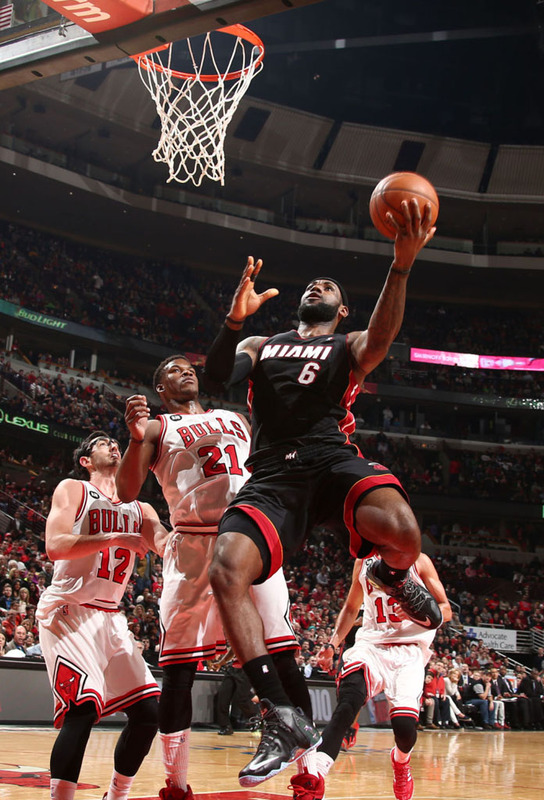 The bad news is that the Heat got shut down by Joakim Noah and the Bulls 95-88 in overtime. LeBron struggled with just 17 points on 8-23 shooting. What are your early impressions of the LeBron 11 Elite? Share your thoughts with us below and stick with us for more information and new details become available.